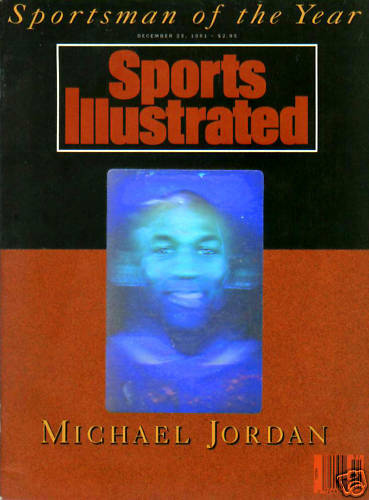 Complete Dec. 23, 1991 Sportsman of the Year issue of Sports Illustrated honoring Michael Jordan with a hologram on the cover. RARE NO SUBSCRIPTION LABEL ISSUE. Has minor flaws and wear. ONLY ONE AVAILABLE FOR SALE.